What is inhalant use disorder? It is a problem that can develop when people deliberately breathe in the fumes of various substances, in order to experience intoxication. Basically, the disorder develops in people who frequently use inhalants as a recreational drug. Inhalants are a range of different substances, including volatile hydrocarbons, which are toxic gasses typically found in household products such as glue, paint thinners, white-out, and various cleaning products, leading to the term "glue sniffing." The substance may be inhaled from a bag to intensify the effect, which is known as "huffing." Although there are several other substances which are intended for inhalation, such as nitrous oxide and poppers, which can also produce substance use disorders, problems arising from the use of these substances are not included in inhalant use disorder but are instead included in the diagnoses of other substance use disorder or unknown substance use disorder. Inhalant use disorder is a psychological condition that applies to the deliberate use of inhalants, not to the accidental inhalation of toxic or psychoactive substances, even if they are the same substances that are people inhale when they have inhalant use disorder, and even if they produce identical effects. Inhalants are mostly used by younger people, mainly because they can access inhalants more easily than other drugs, and because they are not aware of the dangers of these drugs. Unfortunately, use of inhalants is one of the most acutely dangerous forms of substance use and can result in sudden sniffing death even the first time they are used. However, inhalant use disorder refers to a problematic pattern of inhalant use over time, not the acute effects of inhalants, even if they are life-threatening. The person uses the inhalants in larger amounts or for longer than they had planned to. The person wants to cut down on using inhalants but has a hard time doing so. The person spends a lot of time getting the inhalant, using it or recovering from its effects. Cravings for more inhalants keep happening. The person fails to carry out important tasks related to home, school, or work, because of their inhalant use and may reduce or give up activities that were important to them. Despite having social, interpersonal, physical or psychological problems caused by inhalant use, the person continues to use inhalants. Risk taking in inhalant use — which is always risky by nature. Tolerance to inhalants, meaning more is needed to get the same effect. 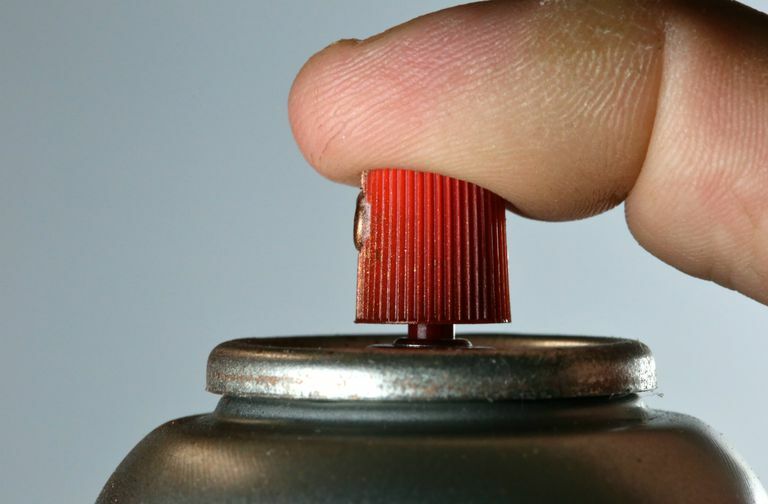 How Can You Tell If Someone Has Inhalant Use Disorder? Many of the signs that someone has the inhalant use disorder are similar to the typical problems of adolescence, so this can add to the confusion of worried parents of teenagers. It is important to build a relationship of trust with the person before confronting them with your suspicions, in fact, a confrontational approach is not typically very effective anyway. Signs of inhalant use disorder that may be typical teenage behavior include social and interpersonal problems, changing friendship groups, getting into arguments or fights with family or others, withdrawing from family, excessive sleepiness, neglect of chores and other expectations, moodiness, and socially unacceptable behavior, such as rude and disrespectful behavior, particularly towards authority figures. Signs of inhalant use disorder that are less likely to be typical teenage behavior include intoxication that does not appear to be caused by alcohol or other drugs — especially if drug testing does not reveal these substances have been used, chemical smells on the body or clothing, scabs or sores around the nose or mouth, known as "glue sniffer's rash," and unusually excessive deposits in the trash or stockpiled in the bedroom, of containers for substances such as glue bottles, aerosols, pain bottles, lighter fluid etc. American Psychiatric Association, Diagnostic and Statistical Manual of Mental Disorders, fifth edition, DSM-5, American Psychiatric Association, 2013.